A conditioning method uniting mind and body toward the goal of overall fitness. In Pilates all movements are initiated from a strong center (core) with proper body alignment, stretch, strength, and control working the entire body at the same time- no muscle left behind. While one muscle group is actively stretched, another is strengthened, addressing both tight and weak areas to get you back in balance with less injures and better performance. Pilates benefits men, women of all ages, as well as athletes, dancers and those looking to commit to or maintain a healthy body and lifestyle. This exercise method aims to strengthen every muscle in the body to develop the body uniformly, correct wrong postures, restore physical vitality invigorate the mind, and elevate the spirit. Called Contrology by Joseph Pilates, the Pilates method of body conditioning requires every movement of your body be executed with awareness and control. The intense mind body connection in Pilates means there are no sudden, meaningless, or haphazard movements during your workout. Proper breathing technique is a key component to the Pilates method. Proper breathing oxygenates your blood, increases your circulation and flexibility, deepens the work of your abdominals, and brings a sense of ease to your movement. Once you’ve mastered the exercises, strive to flow smoothly from one exercise to the next, you’ll find that one movement will flow with control into the next making your transitions part of the workout. Your movement and breath flow through your body releasing tension—the rhythm establishes grace, increases flexibility and has meditative benefits. outwards into the periphery of the body. 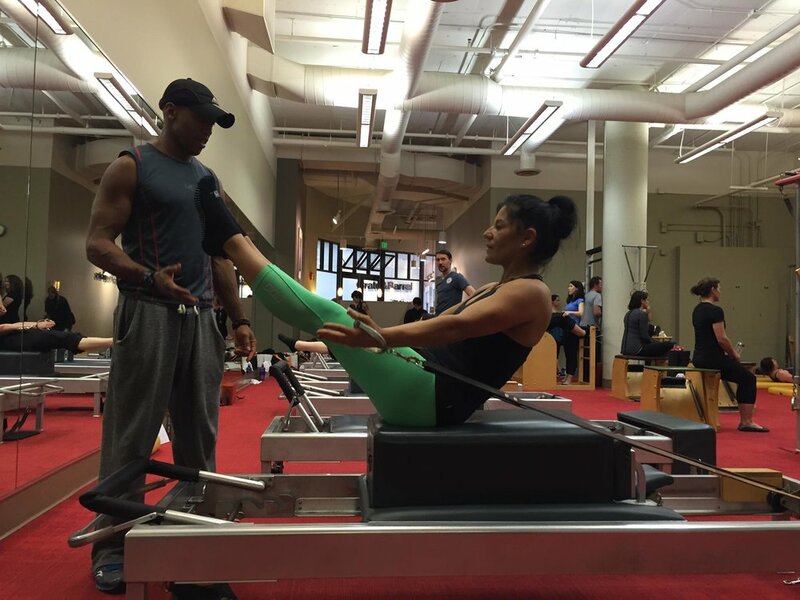 The Pilates approach to each exercise is precise and each exercise has a very specific purpose. Based on the principle of quality over quantity, each exercise is done for a few repetitions, therefore the full benefit of each movement requires clear, concentrated focus. With these principles in mind, the Pilates method focuses on the ‘Powerhouse,’ or deepest abdominal muscles, and works the rest of the body from this core connection. Over time, this approach creates a strong foundation from which one can achieve new levels of strength, control and balance.